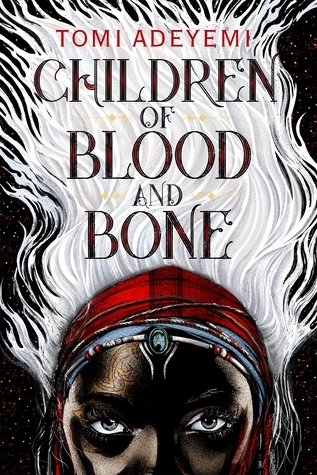 Children of Blood and Bone is book 1 in the Legacy of Orïsha series. I'm all about diverse reads so I jumped at the chance to try this one. This story really resonated with me and I'm so glad Tomi Adeyemi wrote this novel. It weaves in some sensitive subjects that needs to be discussed more in the current world issues and I appreciate she included it in her story. We start off meeting our leading lady, Zélie Adebola, a maji, one of the people that would be able to harness magic if it wasn't a thing of the past. Even with magic being gone, the hatred of the maji still remains in Orïsha and we get to see that from the very start as nasty slurs are used. The maji can't help what they were born into or that they have white hair that marks them so plainly. Anyway, Zélie winds up saving a girl that the guards are after and it sets off an adventure to restore magic for the world. Our group is being hunted by the prince, who's determined to prove himself to his father. Zélie, her brother and the girl she saved make their way a few steps ahead and face so many challenges along their journey. I was biting my nails wondering if they'd be able to make it all work out or if they'd get caught. This novel shows darkness, but also the hope of a better future. I got emotional while reading. 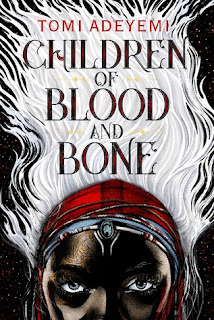 Children of Blood and Bone is a stunning debut novel that is a must read. I pretty much loved everything about it, the characters, the plot, the world building were all great. I was eh on the romance aspect, which surprised me since I love romance in books. 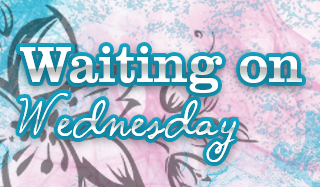 This novel does have multiple POVs, while I normally find that harder to keep the story straight I didn't have an issue with that this time around. Each chapter designates who's POV we are currently in and the audiobook narration helped if I started up mid chapter since the voices/tones were distinctive. All in all, this was a very impressive read and I cannot wait to see what happens in the next book. This was my first audiobook narrated by Bahni Turpin and holy guacamole she did an outstanding job. As I mentioned above, I've had issues with multiple POVs in the past with narrators but didn't have a single issue this time in that regard. The voices were different enough between the 4 characters that I could tell who was who just by listening. Emotions the characters were feeling was evident and I don't think I've ever heard chanting/singing from a narrator before, that was a delight! I'll be checking out other books Bahni Turpin has narrated in the near future, she did an amazing job.